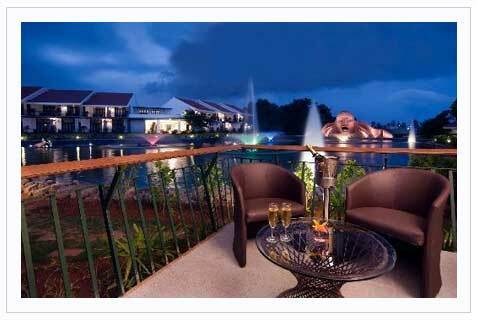 A short drive to the outskirts of Mysore and you enter the portals of a tranquil sanctuary called ‘Silent Shores’. The stars above, the earth below and a lake in between, discover your home by the lakeside. The vast stretch of undulating greenery, 10 acres to be precise offers peace as the main course. One place on earth that’s sheer heaven – Silent Shores..
Children below 5 years stay complimentary. Extra bed or Extra Person at Rs.1000/-.